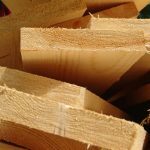 When it comes to hardwood flooring, the market is flooded with those providing stock flooring or low-cost “custom” flooring that claims to have a unique appearance but is really mass-produced. 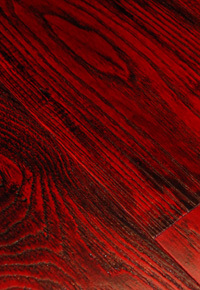 Rehmeyer Wood Floors is different. While we’re always pleased to help customers make selections from any of our 5 Custom Collections, we especially relish the opportunity to help someone create an Extreme Custom Rehmeyer Wood Floor. When it comes to our Extreme Custom flooring, we’re happy to provide some suggestions or examples of customer requests, but really? The choice is up to you. As long as we can source the species you desire, we’ll be pleased to work with one we’ve never used before. (Let’s face it: We wouldn’t offer such an outrageous option if we weren’t up to the challenge!) Our skilled craftsmen absolutely delight in creating a masterpiece unlike any they’ve crafted before. What ideas do you have? We can hardly wait to hear them. What kinds of things have past customers requested? Well, we’re glad you asked! There’s a great variety, from extreme widths to striking and dramatic color choices. One option is Random-Width Ash with French Country Styling. This provides a look reminiscent of well-worn painted flooring, in keeping with the look of reclaimed wood but utilizing new materials. This would be perfect for a trendy “Shabby Chic” decorating style, especially if you opt for a “French Blue” finish. If you want real reclaimed lumber for your floor, we recommend Reclaimed Wide Plank Heart Pine, with a custom dark stain to enhance the natural beauty of the grain. Our unique sanding techniques and Tung Oil finish help us make a piece of history into a thing of beauty! 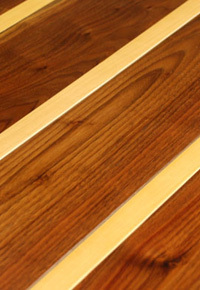 On the other end of the spectrum, we’ve created flooring with Pin-Striped Walnut and a Hard Maple Feature Strip. The deep, rich hues of unsteamed wide-plank Walnut combine with the light golden color or Maple for a dramatic contrast that’s just perfect for a formal entryway or dining room. Another more formal look can be achieved with Dramatic Red Ash. 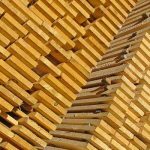 We start with the clearest possible grade and use custom staining and accent color application to provide a look unparalleled by any more common species of wood. 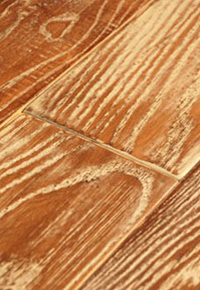 Other selections which customers have made include Red Oak, Ofram, and Extreme Wide-Plank White Oak. Any of those choices can easily work with a variety of decorating styles, even blending seamlessly throughout an entire house. Our Tung Oil finish helps increase wear and brings out the beauty of the top-grade examples of these species. Again, the options described above are just that: possibilities. We look forward to hearing your thoughts and answering your questions about your dream floor — one that no one else has and we would love to dream up! 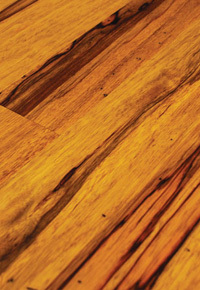 Rehmeyer Wood Floors offers a full range of custom milled wide plank & engineered hardwood flooring. Rehmeyer’s flooring is all 3/4″ solid hardwood and sold unfinished, prefinished, or completely custom finished to suit your project.